I don’t know about your experience, but can snoring be a bit of a deal breaker between partners? To be honest, snoring is not so much of an issue for me, since I grew up hearing my dad snore, as well as various other friends during sleepovers, and even some of my roommates when I was a young adult and I first moved out. Truthfully, I have traveled so much and lived in all sorts of places that I can sleep pretty much under noisy and well-lit conditions. One of the flats I lived in for some years was right beside a motorway, and so there were lights on 24/7, not to mention the sound of cars all night long. And so I learned to sleep even when it’s bright and noisy. No big deal. My partner, however, is the complete opposite. I love him, but he needs complete darkness, silence, and stillness in order to be able to sleep. We are built very differently indeed. A little noise and he wakes up, and it’s hard for him to go back to sleep. And, probably like many people, he gets grumpy when he doesn’t get enough sleep. Now, we both snore, me – occasionally, him – often. It really doesn’t bother me to hear him snore because it’s proof that he’s there. Honestly, I’ve slept with so much snoring that the sound is actually comforting, in a weird way. But when I snore, which I do when I am very tired or my allergies bother me, it wakes him up. It’s actually caused some fights between us. Nothing serious, though. But can you imagine, since we have a long-distance relationship, that I fly many hours to get to him, and then we get together, and then I fall asleep, exhausted from the long trip, only for him to wake me up, complaining that I’m snoring so loud that he can’t sleep. This has led me to a few painful nights on the couch. Which is really sad, to fly thousands of kilometers and not be able to sleep in the same bed as my partner, right? And so, in my extensive pillow research, I found that anti-snoring pillows actually exist, I jumped at a chance to read all about them to find out the question of the hour – do these anti-snoring pillows really work? Nearly a third of all people over the age of 30 snores. A decade later, the number goes up to 40 percent. Almost one-fifth of all women snore, as does one child in every twenty children. So, apparently this is a big problem that affects a lot of people all over the world – no wonder a whole bunch of people is developing anti-snoring pillows. When your nasal passages are blocked in your sleep, and your airways are out of alignment, that’s when snoring occurs. You want your airflow to be continuous and unhindered in order to not make those pesky snoring noises that wake your partner up at night. What the early anti-snoring pillows did was to position your head in such a way to open your nasal passages and allow for air to flow freely. They adjusted the alignment of your head and neck while you slept. 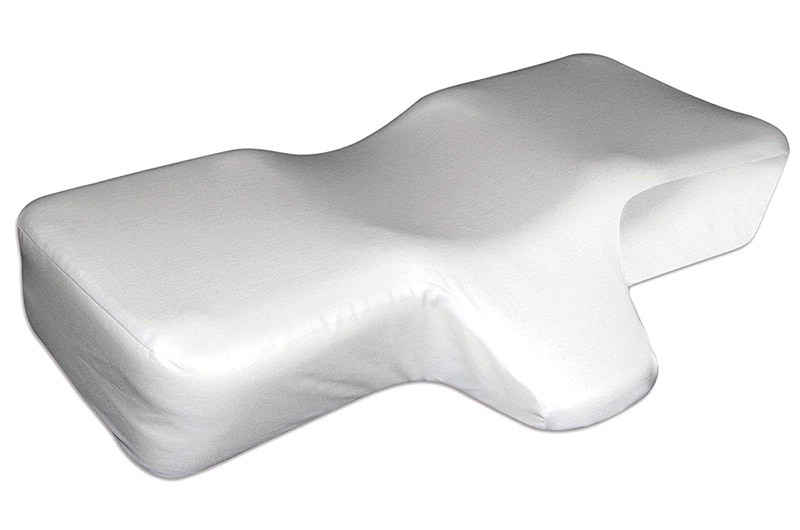 These pillows work the best if you sleep on your back, which is the position that most snorers sleep in, for everyone’s information. 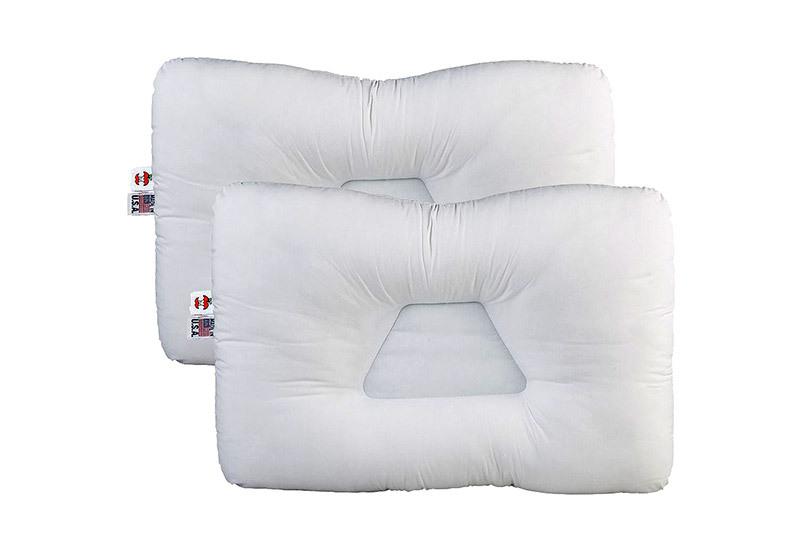 These early anti-snoring pillows also work for side-sleepers, but they don’t work for front or stomach-sleepers at all since in this position your head and neck are already automatically misaligned. Now, I know I’ve talked about training yourself to be a back sleeper in a previous article since this position is the healthiest. Back sleepers who snore need a pillow that has significant support for the portion at the back of your neck, as well as a hollow area that will cradle the back of your neck. This encourages head and neck alignment that keeps your airways free since your head is pulled back because of the hollow area of the pillow. Side sleepers who snore are given pillows that pull the angle of their heads a little bit in a downward position. This keeps your tongue out of the way so it won’t block your airway. These early anti-snoring pillows are usually not the most comfortable at the beginning and may take a while to get used to. Don’t worry, being free from snoring, and having your partner get a good night’s sleep, makes everything worth it! 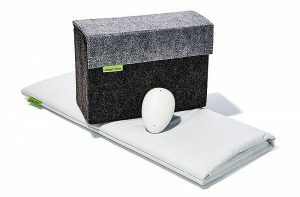 Now, aside from pillows that are shaped strategically to cause the back of your head to lie back in order to keep your airways open, there are also next level or next-generation “smart” anti-snoring pillows that contain electronic devices inside the pillow, that can help you with your (or your partner’s) snoring problems. Now they are more expensive, which is to be expected since they are supposedly high-tech, but are they more effective? The principle behind this is that when you begin to snore and something causes you to move, you stop snoring. So what this pillow does is electronically track the movement and position of your head on the pillow, as well as your breathing. And when it detects that you are snoring, the air chambers of the pillow will inflate or deflate (depending on the position of your head) causing you to turn to the side, and stopping your snoring. It’s almost three times as expensive as the non-electronic anti-snore pillows, but some people might find that a reasonable price to pay for a good night’s sleep and peace between you and your significant other! PS – one more cool, high tech thing that the Nitetronic does is that it has not one but two apps that connect via Bluetooth to your phone. These apps record and track your sleep data, so you can monitor your snoring, and see if any serious health issues are at hand. This pillow sold in the neighborhood of a couple of hundred US dollars. Not cheap, right? But the manufacturer’s claims intrigued me, so I did a little bit more research. So what makes this pillow so special? Smart Nora – device suitable for any pillow. Now, the people behind the Smart Nora believe that since pillows are very individual objects and that every person has his or her own comfortable pillow, it’s better to have a device that works with your favorite pillow so you don’t have to do any adjusting. This made sense to me, so far. So the Smart Nora, which, by the way, comes with a 30-day Satisfaction Guarantee or the manufacturer gives you your money back if you live in the US or Canada. And also, this device was chosen by the Queen, Oprah Winfrey herself, to be one of her favorite things last year – so it comes with high praise already. So, are you excited yet? I was. One part of the Smart Nora looks like a computer mouse, which you put on your bedside table. The other part is the expander pump which you place it into your pillow. When it detects that you’ve started snoring loudly, what the device’s pump does is inflate the expander in your pillow, causing you to move, and therefore stop snoring. It comes in a cool, stylish bag – maybe that’s why Oprah liked it so much. If what you need to preserve your relationship with your partner is an anti-snoring pillow, just do it. After all, sleep is a very important part of our health, and we all deserve to have a good night’s sleep. If your snoring is interrupting the sleep of the person you love, then you’ll want to do something to rectify the situation, right? I’m not saying that anti-snore pillows are the only solution, either. There are mouth guards that you can wear at night, or possibly chin straps that help keep the mouth closed, and therefore prevent snoring. These are options as well, and many of them are less expensive than anti-snore pillows because let’s face it, the high tech ones are pretty pricey. 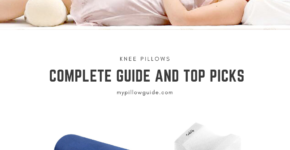 If you’re just looking for a comparison of regular bed pillows and what may be the best one for you, especially if you’re someone who struggles with neck pain, here’s a piece I wrote a few months ago that many people have found to be really helpful. I can’t wait to try these anti-snore pillows! Who knows that one day I’ll write an article called “How an Anti-Snore Pillow Saved Me and My Boyfriend from a Painful Breakup”? It’s not impossible, you know. 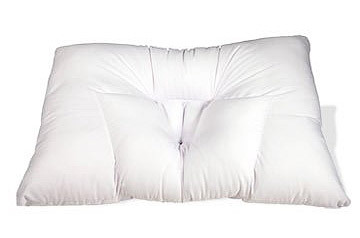 Have you used any of the anti-snore pillows I talked about in the article? Or maybe another kind. If you have, or if you’ve got any questions about anti-snore pillows, leave me a comment, because I’m sure our community right here is eager to learn all about your experiences with anti-snoring or any other kind of pillow! Honestly, I enjoyed reading your article and I consider buying a snore pillow. The smart snora is my favourite because, as you mentioned everyone of us has a favorite pillow, and so it is for me and my wife. Can you tell me, if these pillows, especially the smart snora make noise when they try to move you? Can my partner hear that, or is it negligible? My husband is snoring a lot; I mean every day. It wakes me up, and the problem is that I can’t foll in sleep again. So I usually take my blanket and my pillow and go to sleep in the salon:) Now I am looking for something that will stop the snoring problem. 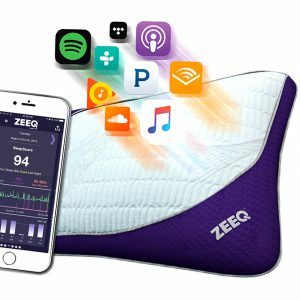 I really like the Zeeq pillow with apps. But I would like a second opinion. Which of these pillows do you think work best? It’s hard to choose between them. Thank you for your great information. My husband is a very loud snorer and wakes me constantly. I am one that can not fall back to sleep so it causes me problems. 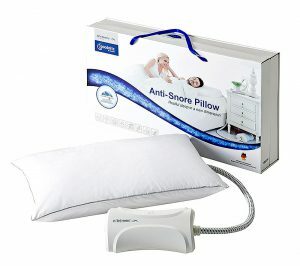 I did not know there was such a think as anti-snore pillows so I was excited to read your post. Because my husband does not sleep on his back and has a favorite pillow, the Smart Nora seems like a great option for him. Do you know with the inflating and deflating, would it cause a person to wake up? Thanks again for the great information. According to their notes – it’s should not be a problem. But of course it depends on sensitivity of each person. I am just like him. I need silence and the room should be dark. Even then, I may have problems but I am working on it. I really hope that I will start traveling soon and when I do, I may need to share rooms with other people and I know that I snore lol. I wonder are these pillows hypoallergenic? Since I will use it for the first time. I need this pillow in my home ASAP. My father’s snoring is horrible. How horrible?!? His snoring wakes us up in our room from down the hall and his door is closed. Trying to close our door also didn’t work either. I feel sorry for my mother that can hear from close range. He’s a back sleeper and I am too. Well, I will admit. I snore too. Only when I am very tired ;-)! This will be the best product for me and my father. Hopefully, everybody in my family now can get a peaceful night of rest, lol.